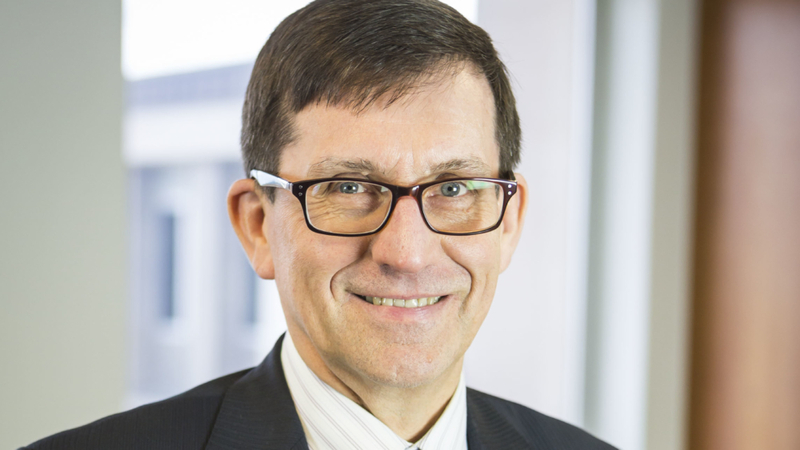 Professor Ian Harper is one of Australia’s best-known economists and a committed Christian. 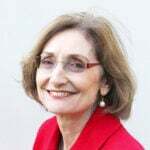 Combining an academic career with advisory roles in public policy, Harper headed up the Howard government’s Australian Fair Pay Commission, the Abbott government’s Competition Policy Review and sat on the Wallis Inquiry into the Financial System. 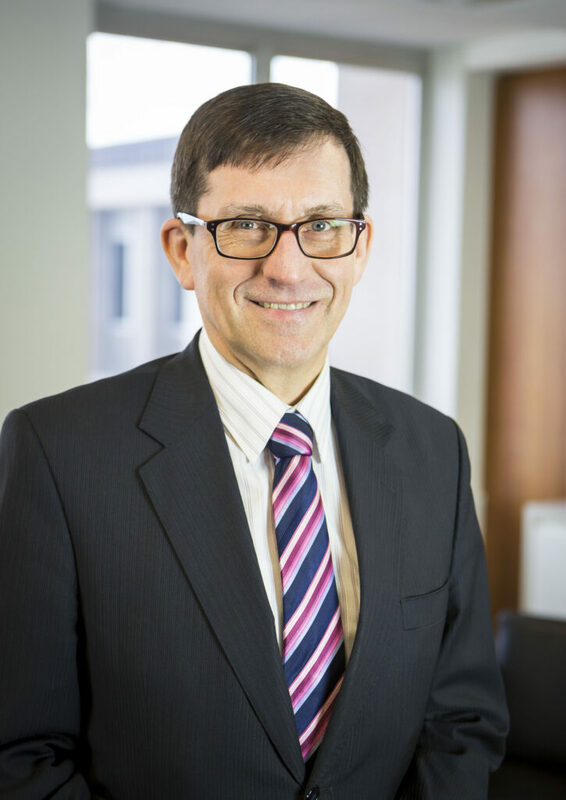 A partner at Deloitte Access Economics, he was recently appointed to the board of the Reserve Bank of Australia. 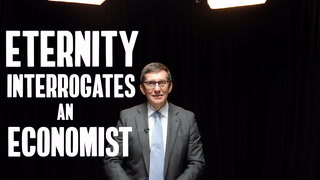 This month he gave his testimony to the Governor’s Prayer Breakfast in Perth, revealing how he had been led to Christ by two colleagues and how his faith underpins his practice of economics. Eternity followed up with a few questions of our own. You have said you were enthralled by economics from the first moment you studied it – what captivated you? Enthralled might be too strong a word. It certainly appealed to me because of the inherent interest of the subject matter and because of the logical structure of the arguments. It’s a scientific subject but it’s a social science, so the human aspect of it was of great appeal. You say that in the past economics had a moral dimension and we’ve lost that. How have you been able to bring the moral dimension back to your practice of economics? I think you can’t practise economics without a framework; it’s just that in most people’s cases it’s suppressed. By being a Christian what I’m able to say is “this is my moral framework, it is written down in a book. It is not difficult to find. And when you find it you can hold me to account.” So I say “there are my cards on the table. What about you? Where’s your moral framework written down and how can I find out what your moral values are and how can I hold you to account?” And that usually challenges people. Do you see yourself as an advocate of economics among Christians and of Christianity among economists? Yes. There tend to be two sorts of reactions. From professional colleagues it’s, “well, that’s all very interesting but I know someone who collects butterflies and you go to the church, well, that’s terrific but it’s irrelevant to what we do as professionals.” Then the other reaction is from fellow Christians, who are inclined to ask, “What is a nice Christian like you doing in a job like that?” Therefore I find myself being an apologist for economics to fellow Christians and for Christianity to fellow economists. You say economics is a good professional toolkit but it’s not a philosophy of life. Yes, it’s not a religion. It doesn’t pretend to answer all the questions that ache in the human heart. At the outset it was a conversation about moral philosophy, so that it was thinking about material dimensions of people’s lives and what was good in that context. Clearly material prosperity is important. I mean, Jesus wouldn’t have spoken about the poor, the Psalms wouldn’t talk about the widows and the orphans, not the least because people who were poor were excluded from the temple. So material poverty plays a big role but obviously that isn’t the gospel. I find myself being an apologist for economics to fellow Christians and for Christianity to fellow economists. But a lot of Christians tend to look at the verse about Jesus offering life in abundance as referring to the life hereafter rather than the life now. My view is that it refers to both. The kingdom is being built here and one day will be perfected here and Christ will return, the trump will sound, the clouds roll back and Jesus will come with his angel train. And when he comes here, there will be a new heaven and a new earth created in this place. Our path under God is to help to bring the kingdom in, but God’s kingdom is not of this world, so this world needs to be rebuilt. All the things you do that have eternal worth will be here when the kingdom comes. Economics is helping to build the kingdom; in the sense that if all these principles apply to the creation of material wealth then they have that element of godliness about them. But ultimately it’s of no use in satisfying God’s demands of us. When did you realise that you had adopted economics as an article of faith more than just a system of thought? When I was challenged by my colleagues, who helped me realise that I had infused this academic discipline with a philosophical value that it doesn’t have. I can be an economist who rejoices in the fact that God does have plans to prosper us, that he does love us, that he does give us a hope, that he promises to act. How did coming to a true faith in Jesus then influence the way you practised economics? It gave me five things – firstly, it gives me a moral framework that I can build my discipline on. My faith is expressed through the discipline rather than the other way round. It gave me a clear sense of the value of every human being and that economics affects people’s lives. I know that people’s lives matter eternally rather than just saying that these are citizens, we need to count them. It makes a much deeper significance than that. I know from just common experience that we need purpose and significance and security in our lives and that economics stops short of investigating those things. So in the absence of anything else, you fill your need for purpose, significance and security with materials things and that’s where economics can be misused. You’re worshipping the creation rather than the creator. So my Christianity helped me to see that much more clearly than I would have done before. My Christianity means that I can be a praying Christian, acknowledging that there’s a power beyond whatever we could do that we can appeal to, that wants to engage himself in our lives, and promised to deliver us to prosperity not to destroy us and moreover to give us a hope and future. So as desperate as things might seem, and beyond the realms of our capacity to deal with them economically, you could rest in God’s grace and his love for us. And then finally that I can be an economist who rejoices in the fact that God does have plans to prosper us, that he does love us, that he does give us a hope, that he promises to act; and so again in the face of a lot of despondency and a lot of negative news, my Christianity means that I can be an economist who nevertheless rejoices. As a Christian I come to that table with a deep respect for the lives that are affected by these policies and changes. How does this Christian outlook hit the road in a policy sense? The clearest example is in setting minimum wages. If setting minimum wages or setting interest rates, as I now do, were a mechanical thing, you would just programme a computer to do it, but it obviously isn’t. And my faith commitment points me to the eternal value of human beings in God’s sight and therefore it means as a Christian I come to that table with a deep respect for the lives that are affected by these policies and changes. You might say any economist with a conscience might do the same thing. Well, maybe they do. I’m making the point that as a Christian economist those values are right to the fore and that means that I can’t make a decision – whether it’s setting minimum wages, whether it’s deciding whether to deregulate the rules governing the sale of alcohol, whether it’s changing retail trading hours, changing interest rates, all of these things which will have an impact on the material productivity of the economy, they will generate jobs, they will raise GDP. Nevertheless, if they do so at the expense of people’s lives – either their moral lives or their actual living standards – then these are matters to be taking extremely seriously. You’ve got to make a judgment; you have to keep yourself accountable. How does this fit with the Australian Financial Review’s description of you as hard-headed? They say nothing about the soft heart! I think hard-headedness simply means coolly logical, looking to the logic and the evidence, and that’s my training. So if there’s a decision to be made, in the first instance I’m going to look to the logic and the evidence, and then after that comes the soft heart.